With low interest rates and volatile stock markets, it is not difficult to see why a lot of people view Buy To Let (BTL) as a solid investment choice. Not only can you generate a monthly income for yourself, you could also see an increase in capital growth, particularly if you are looking at a long term investment plan. However, with the changes to mortgage interest relief, and the introduction of an extra 3% stamp duty cost on second homes, it is more important than ever to do your research and get good advice from property professionals. At Assured Lettings, we offer a FREE property sourcing service where we will work with you to find a BTL property in our catchment area, which is South Derbyshire. Why do this on your own when you can work with people who live and breathe property lettings? With large employers such as East Midlands Airport, DHL, Toyota and Rolls Royce all in the local area, good road links (A50, A52, A38, A42, and the M1) all close by and easy access to Derby, Nottingham and Leicester, we think our catchment area is an excellent location to invest your money. If you buy the right property, present it well and offer a competitive rental figure, finding good quality tenants will never be an issue. This is so important, because if your property is empty for 2 or 3 months every year you can kiss goodbye to those good returns. Before we start searching for your BTL investment, you may want to have a chat with our recommended independent mortgage advisor. Even if you don’t have any savings, if you purchased your own home at the right time, you may be sat on equity, and this could potentially be used to finance your BTL property. Once we have established your budget and requirements, we will then begin our search. We look at the sales market every day to ensure we don’t miss any gems, and for each property we recommend we will send you a comprehensive Property Performance Forecast document. This will show you examples of the potential investment cost, rental amount, annual income and expenditure, capital growth potential and the pre-tax return on your investment. We are happy to do this for free, as we see it as a good investment in our time. It allows us to demonstrate our knowledge and expertise to you, in the hope that you will then use us to let and manage your chosen investment. 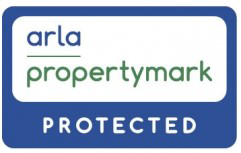 Whether you are completely new to BTL, or an experienced investor looking for your next property, we are your one stop shop for property lettings. What are you waiting for? Call us now to start the ball rolling! To see an example of our Property Performance Forecast document, please click here.